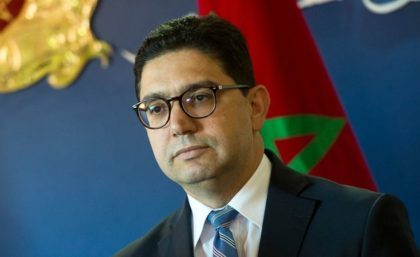 Morocco’s foreign policy towards the Arab world is independent and driven by the end goal of bringing Arab countries closer without any political parti-pris, Foreign Minister Nasser Bourita said. Morocco has adopted an impartial stand regarding the Gulf crisis, recalled the Moroccan minister in an interview with Aljazeera TV channel. He said Morocco endeavors to find a solution to the Gulf crisis through promoting reconciliatory action and bridging different viewpoints, he said. Morocco, under the leadership of King Mohammed VI, is fully aware of the centrality of Gulf countries in the Arab world, Bourita stressed. Ties between Morocco and the Gulf Cooperation council are multilayered bringing together diplomatic and strategic aspects, which enable the North African kingdom to play a key role in bringing closer different views, he said. He highlighted the strong relations with Saudi Arabia, which are cemented by solid ties between the Moroccan and Saudi leaderships. On Yemen, Bourita said that Morocco took part in the Arab coalition in Yemen but the situation on the ground necessitates a policy change. Morocco backs legality in Yemen and supports the Gulf plan in that respect, said Bourita, noting that humanitarian issues are of big concern as Yemen goes through an alarming crisis, which requires urgent action. Concerning Palestine, the Moroccan minister highlighted the actions on the ground taken by Bayt Mal Al-quds agency which helped 2500 families in Jerusalem gain decent lives and offered support to 150 orphans. On Syria, Bourita said that reopening the embassy is not on the agenda because Rabat never severed ties with Damascus. He stressed the need for an Arab coordination before any move to resolve the current crisis in Syria. “Diversification of partners” is a key feature of Morocco’s foreign policy said Bourita while speaking of relations with Africa. “Morocco wants a united Maghreb, a United Africa, an Arab economic area and strong ties with the EU as well as partnership with Russia and China,” he said. Bourita also deplored the tensions marking ties with Iran, which has adopted stands undermining Morocco’s interests. He recalled that cutting diplomatic ties with Tehran was a sovereign decision in response to Iran’s actions against Morocco’s security.